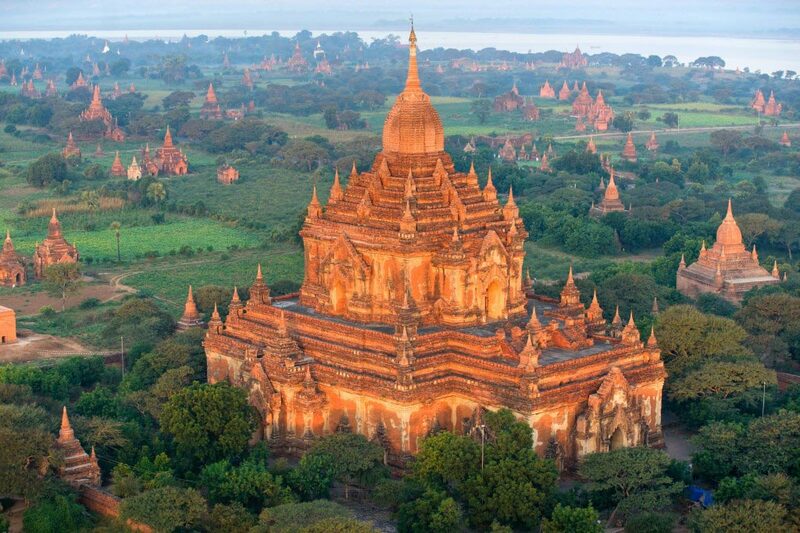 The Schwedgon Pagoda (“Pagoda” meaning stupa) is the holiest Buddhist shrine in Myanmar and according to the legend, it was built about 2,500 years ago. However, archaeologists estimate the time period to be between the 6th and 10th centuries. The site is an iconic landmark and sits on top of the Singuttara Hill dominating the skyline of the city of Yangon. The Pagoda has been rebuilt a number of times due to earthquakes and the present structure dates from the rebuild under King Hsinbyushin in 1769. The fact that the padoga has withstood and endured the renovations adds to the majesty of the place. The site stands strong, steady and sacred to this day. The main Pagoda had been decorated with 8000 gold plates, 5000 diamonds and 2000 gems. Many semi precious stones were used for the same purpose. Hence, it is not surprising that the site has been plundered a number of times over the years and that the 300-year-old bell covered with jewels is now lost. This place is religiously very significant and visitors should keep in mind the cultural sensitivities during their visit. The Schwedagon was in the middle of political activity during the independence movement in Myanmar in the 20th century. The surface of the Pagoda was covered with a gold leaf weighing 40 kilograms, donated by Queen Shinsawbu and was equivalent to her weight. This marked the beginning of the tradition of covering the Pagoda. The Indian Emperor Asoka is said to have searched for the Shwedagon after it fell into ruin. The Shwedagon Pagoda has 1,485 bells and there are many interesting stories associated with these huge bells. Visitors are required to remove their shoes, sandals and socks before entering the Pagoda out of respect for Buddha. The site is located in the city of Yangon, which is situated in the lower part of the country of Myanmar. The best time of the year to visit the region is between November and February since the weather is not too hot and it tends to rain the least during these months. Moreover, the best time to view the site would be either at sunrise or sunset. 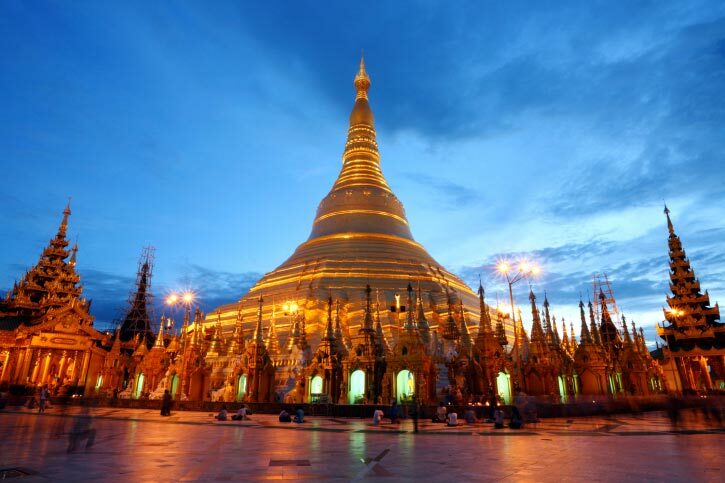 The Shwedagon is open daily between 4am to 10pm. The entrance fee goes to the government and its $5.